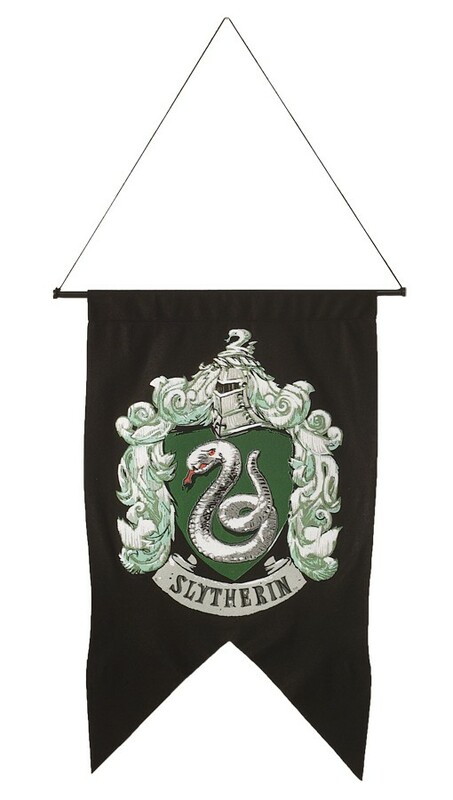 Hang this banner along with all the other houses at your next Wizard and Witches gathering. Founded by Salazar Slytherin, the house is composed mostly of pure-blood students, due to its founder's mistrust of Muggle-borns. The house is traditionally home to students who exhibit such traits as cunning, resourcefulness, and ambition. 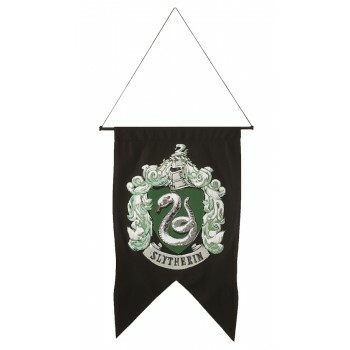 Its emblematic animal is a snake and its colours are green and silver. Dark-colored banner with crest. Polyester banner, cord and pole. 20 inches x 30 inches.